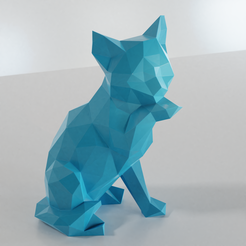 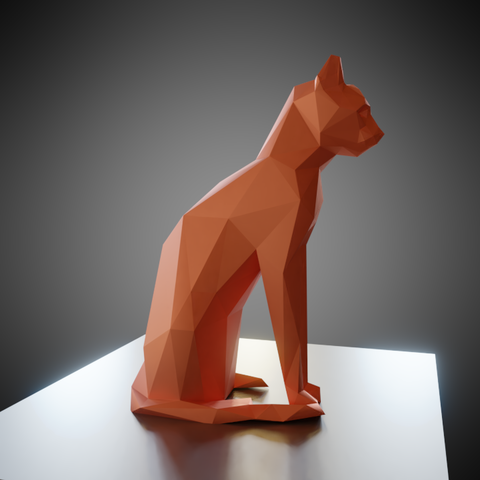 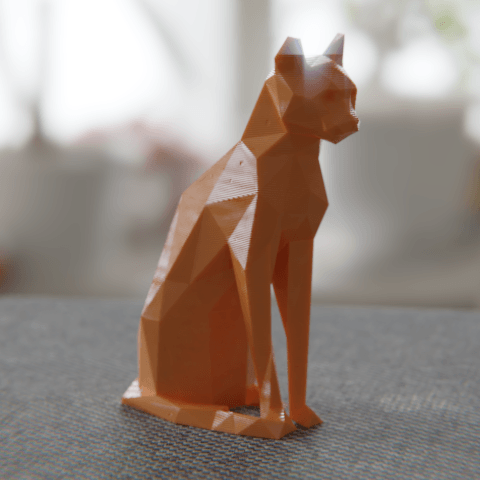 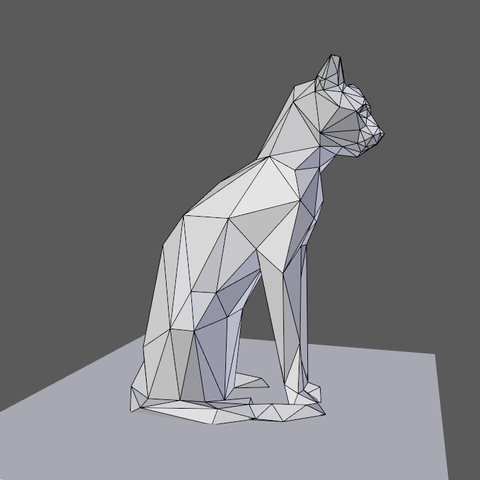 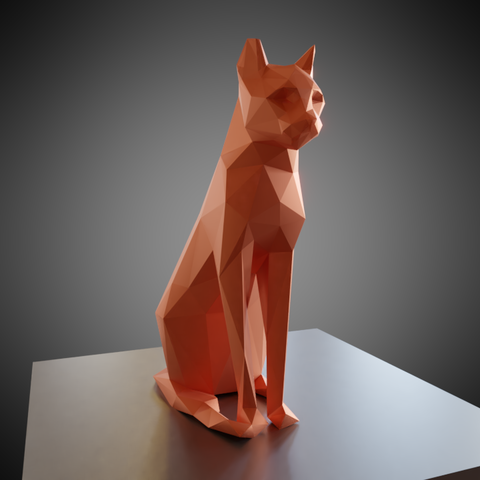 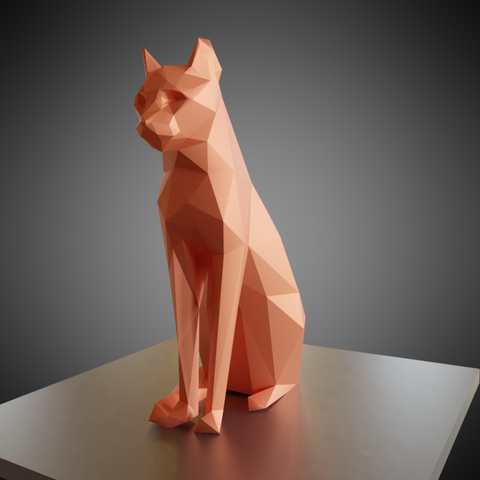 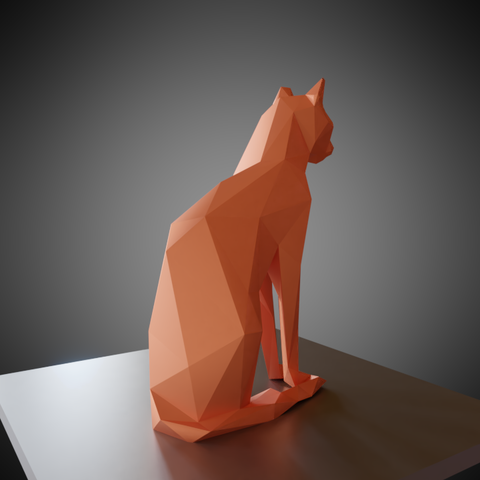 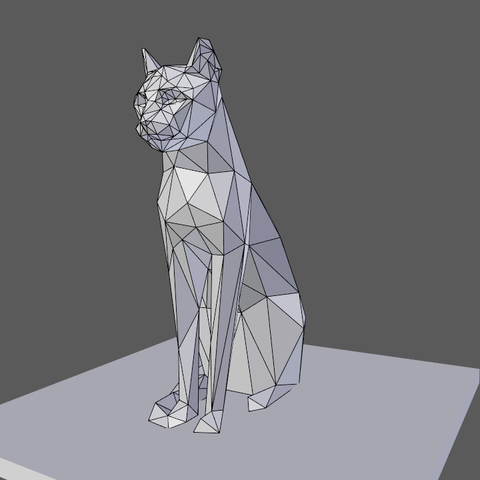 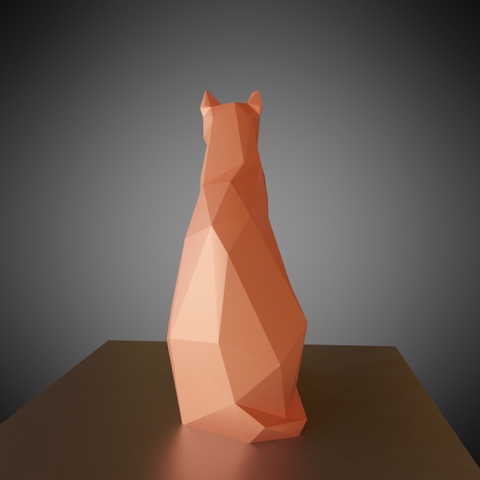 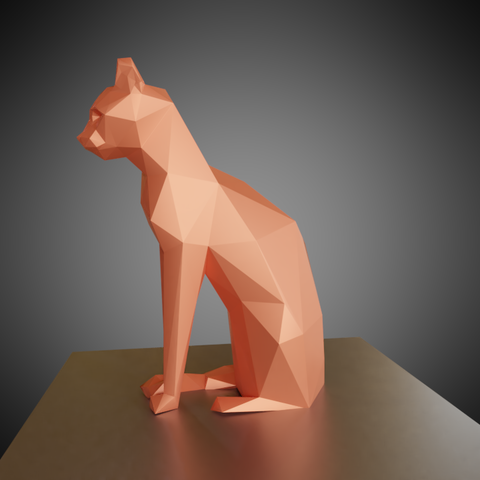 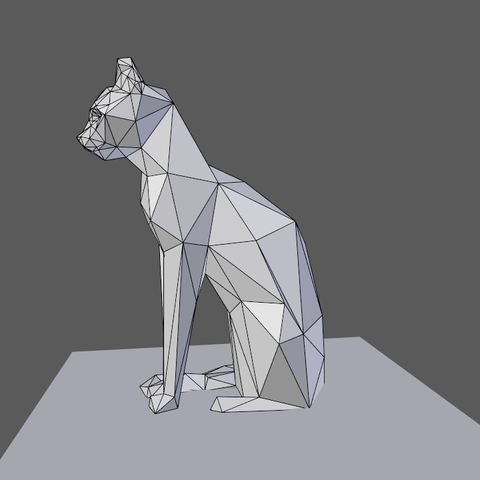 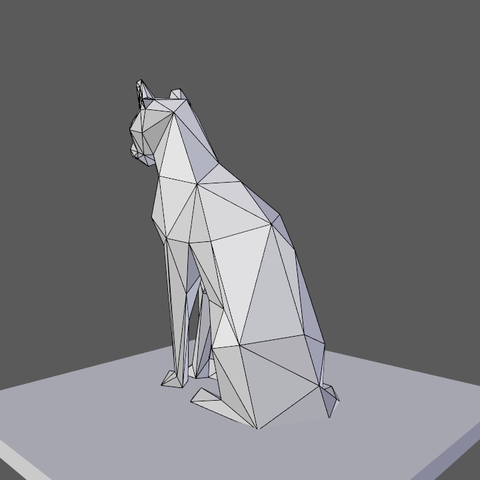 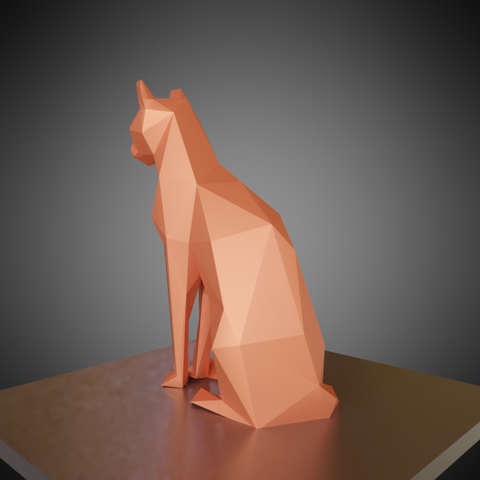 3D lowpoly (low definition) model of a sitting cat. 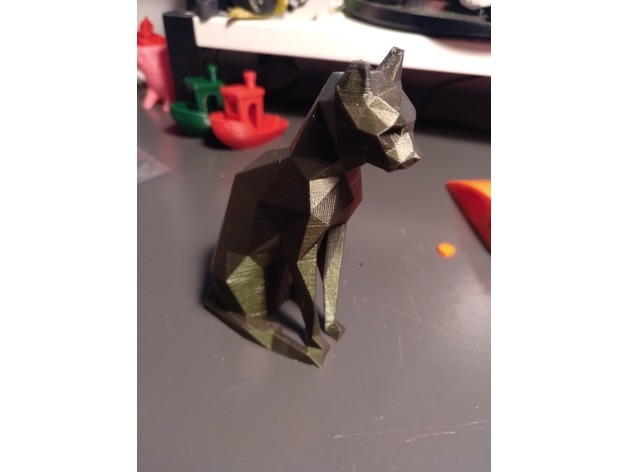 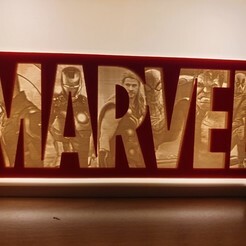 Printed successfully with a bronze PETG filament (see .gif). 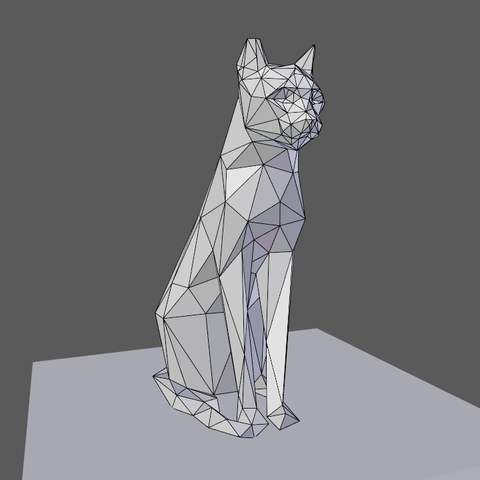 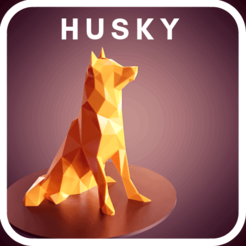 Le plus joli chat en lowpoly ! 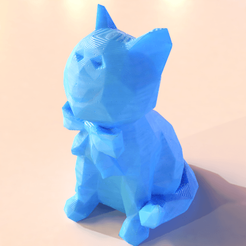 N'hésitez pas à partager vos impressions, vos "makes" !